Entrenched insurgents, hidden behind a stone wall and a beneath a thick canopy of trees, were concealed so well that the Americans could not determine how many enemy fighters they were battling. Choay and his teammates didn’t have the same luxury of concealment. After a four-hour firefight in which neither side gave any ground, his unit, broken up into Alpha and Bravo teams, was ordered to assault the enemy’s well-hidden position. The Rangers, who had already scrambled down a rocky hillside that provided little cover, then crossed a 130-foot-wide river by advancing across a primitive bridge with bullets zipping by. Somehow, they made it across untouched. The Americans, now proceeding on ground and taking on intense fire, were getting hit and suffering wounds. About 250 feet from the enemy stronghold, with two of his teammates wounded, Choay decided it was time to end the firefight. He decided to raid the bunker. He moved forward with two Alpha team paratroopers and took cover behind a small crest in the landscape, 150 feet from the insurgents. Noticing that the experienced, battle-hardened insurgents were completely focused on the Bravo gun team, Choay told them to follow him to the enemy’s unguarded left flank. Navigating through underbrush and intense crossfire from both sides, he crept up on the enemy and found himself 65 feet from the enemy position. Four insurgents—three machine gunners and an RPG operator—hadn’t seen him. He prepared for the assault. Then he realized he was alone. 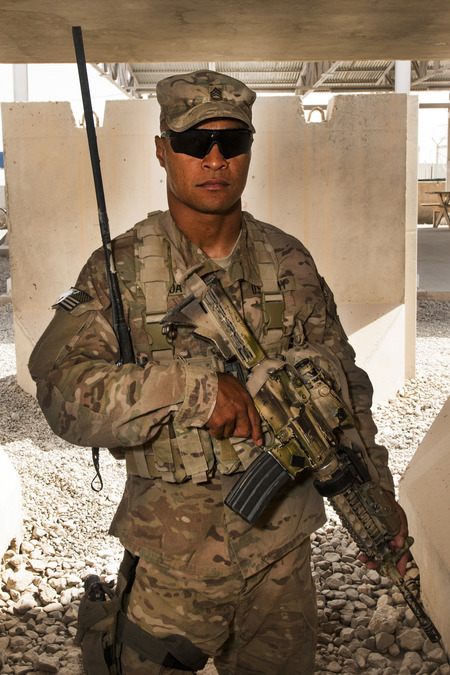 —Army Sergeant 1st Class Chris Choay, who received a Silver Star for his actions May 3, 2005, is an active-duty soldier who served in Afghanistan in 2014. An in-depth account of his actions is brilliantly captured in Mark Lee Greenblatt’s book, “Valor: Unsung Heroes from Iraq, Afghanistan, and the Home Front,” which is available at all major booksellers.